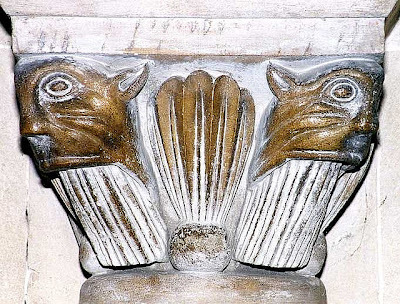 Four Templar cats decorate a column at Temple Church, located between Fleet Street and the River Thames. 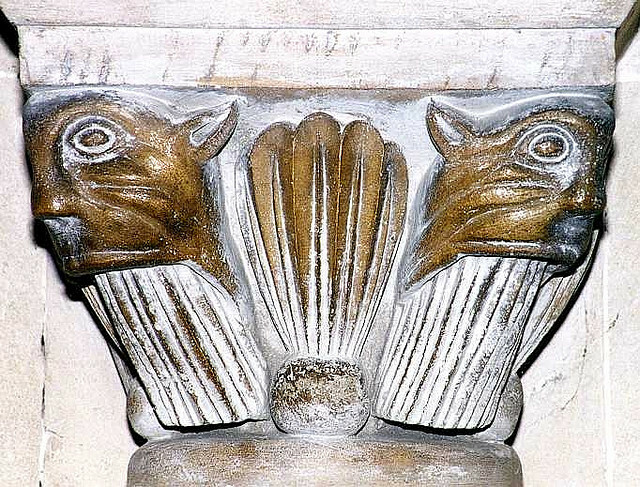 The church—built by the Knights Templar as their English headquarters—dates to the 12th century, and although much of the building is restored, the cat heads are original. Each cat head faces one of the four cardinal directions. Between the heads, a shoot springs vertically upwards from a seed.